Brian O’Leary, B.A., B.Ed., Med., is in his fifteenth year as Superintendent of Seven Oaks School Division. As Superintendent Brian is responsible for 11,000 plus students and 1,500 staff. Seven Oaks serves a diverse and culturally rich working class suburban area of Winnipeg. Brian is proud that Seven Oaks values inclusive education. Under Brian’s leadership the division has made dramatic gains in student engagement, attendance and high school graduation. Seven Oaks is a leader in indigenous education and in promoting equity. 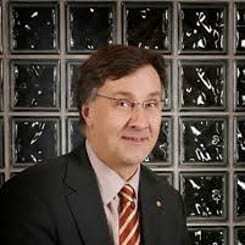 Brian has served as president of the Manitoba Association of School Superintendents, sits on the National Council of the Canadian Education Association, is active with the United Way of Winnipeg and teaches courses in Education at the University of Winnipeg and the University of Manitoba. New School Answers the Question: What Do We Value?